Conclusion: Same price as the GTX980Ti, same performance as GTX980Ti. Better energy consumption (! 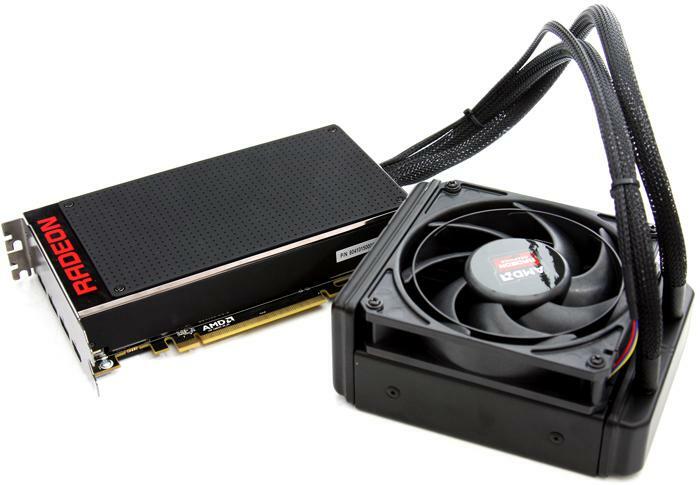 ), lower noise, cooler form factor. I like. But I will not buy. Edit: AAAHH! SOMEONE FIX MY TITLE TYPO! I'M SO ASHAMED! Edited by mkreku, 25 June 2015 - 05:29 AM. It looks like a good card. It's not the hammer blow to Nvidia that AMD fans had been hoping for, but it's not a bad deal either. It basically goes blow for blow with a 980Ti at the same price, so if you're looking for a card at that price range, it basically comes down to brand preference (or form factor if you happen to have a really small case). I would but my noodly appendages do not reach into Skeeters Junkyard. Only the Global mods, LadyCrimson and syn2083 can help you out so you may want to send one a PM. It shows how much we've been spoiled in the past by AMD advancing the value proposition that we're disappointed that they've merely caught up to nVidia this round. the 980Ti, as of this second, is probably the better product, but the wildcard is whether Fury gains enough over the coming months to overtake it. It's not an improbable expectation: as a more experimental, less mature product, there's more scope for it to gain performance from driver updates, and the other factor is that at the moment it's voltage locked, we have no idea how much overclocking headroom it has once voltages can be tweaked. To be fair it's a legitimate gripe in that the product effectively does nothing new for now in terms of the consumer market, whereas previous releases, though perhaps technically less impressive, have really made waves by forcing a downward adjustment in all prices. The Fury will do no such thing as AMD seems content to merely price there products along the same price:performance curve established by nVidia. (This is also seen in the surprisingly high prices for the 390 series cards). The economic reality is probably that AMD can no longer afford to undercut to the degree they did back in the 4xxx and 5xxx series days, especially as the Fury is a large chip that is likely more expensive to fabricate than anything they've released previously. When are the 14 mn chips from Nvidia showing up. That's a pretty big deal, long time since we had a die shift in GFX. Likely with Pascal in 2016. Pascal will also be the first line of Nvidia cards with 3D memory. Conclusion: Not as fast as GTX980Ti or Titan X, but may depend on drivers. Yngwie would be turning in his grave, if he was dead. Oh well. Yngwie Malmsteen? Saw him open for Iron Maiden ~1987. Good times. Link probably won't work because of the kindergarten rules of this board, but you get the gist of it. Conclusion: Slower than GTX980Ti at lower resolutions, Titan X-like performance at Ultra-HD. Also, AMD seems to have completely eliminated the frame pacing problem with the Fury X.
Yeah, I was hoping for more. I'll skip this generation. I just saw the prices for the Fury X here in Sweden: $900+. **** that. For reference, the GTX980Ti (a card that's better in almost every aspect) goes for around $950. Actually, **** that too. 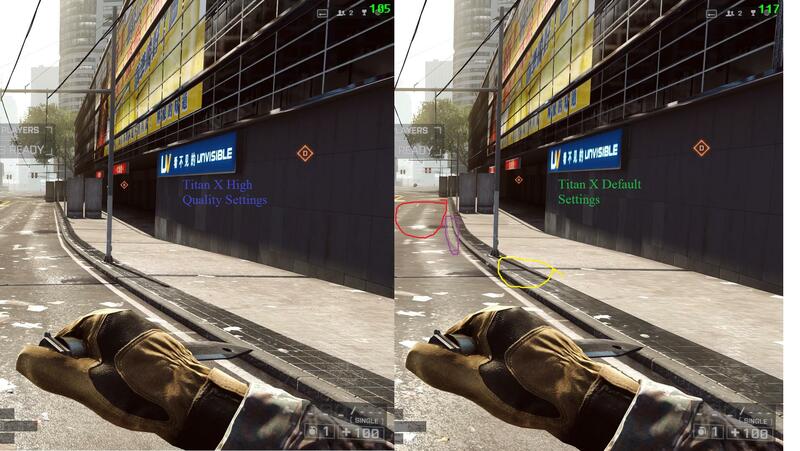 Some breaking controversy right now - nVidia driver default settings appear to be overriding in-game quality settings to improve performance at the cost of image quality. When the setting is changed from default to max quality, the performance drop is about 10%. Titan X's lead over the Fury X (which respects the in-game settings and is rendering at maximum quality) at sub-4k resolutions? About 10%. The reviewer at HardOCP has confirmed that they test with all control panel settings at default, so it's definitely a factor that's affected at least some reviews - will be interesting to see as reviewers now don't typically post this kind of information in the actual reviews. Edited by Humanoid, 03 July 2015 - 08:46 PM. Seems to be the obvious thing, yes. But I don't think that alone accounts for a 10% hit necessarily, so some other sneaky but less obvious 'optimisations' may be happening alongside. It actually might be up to a 10% hit on performance, seeing as AF is bandwidth intensive and it just gets worse at these extreme resolutions. Fury X excels in bandwidth so maybe Nvidia was trying to win some back in an area where they know AMD is better? Just speculating.